California, known for its far left politics, out of touch celebrity class, high taxes and outrageous cost of living, decided to throw caution to the wind and legalize recreational marijuana with Prop 64, passed last November. This came a month after Governor Jerry Brown signed SB54 into law making California a Sanctuary State. So if you like illegals, you’ll love them stoned. As a native Californian, born and raised in the Los Angeles area, living in California my entire life, what is happening to my home State is horrendous to behold. It’s as if common sense no longer exists. Things like abiding by our laws, even a basic understanding of our rights and freedoms, seem like foreign concepts. It’s like watching the Titanic heading full speed towards the iceberg and being powerless to stop it. The issue of legalized recreational marijuana brings about the strangest of bedfellows. In the weeks leading up to laws enactment I’ve witnessed the rare sight of some conservatives on the same side of an issue as liberals. And with it the hypocrisy that both share. We have created a new and lucrative marijuana industry where many are getting rich off of getting people hooked on a dangerous and addicting substance, being paraded as the opposite. It’s ironic that in a State like California, with it’s liberal politics, it’s health conscious reputation, and having been one of the earliest States to enact some of the strictest restrictions on smoking and other tobacco products, would now praise pot. Marijuana has the same risk profile as tobacco; it increases cancer risk, heart disease/stroke, comes with the same risks for second hand smokers, can cause birth defects and more. While some of the effects and long term risks of marijuana are not fully understood, we know more than we did about tobacco long ago, and look at the consequences of that industry. Yet with all our knowledge and information at hand, we are plunging ahead, even disregarding what we know and what we can deduct about what widespread marijuana use does to both the individual and society. When the Marlboro Man was the in-thing, little did people realize that many of the men who played the part would lose their lives to smoking related cancers later in life. Today we praise and even glamorize marijuana use. Meanwhile the United States is in the throes of an opioid crisis. No state has been untouched. Yet we make another drug, one categorized as more dangerous than opioids, more accessible to the masses. We may not have a full understanding yet of how THC works, but we do know that it acts on the same part of the brain as opioid pain pills, cocaine and heroin. In fact, the federal government still lists THC as a Schedule 1 substance (the group of the most dangerous drugs, which are banned substances. Note that Marijuana is still illegal under federal law). Opioid pain killers, the drugs causing the crisis in this country, are Schedule 2 drugs. Then there is the “freedom” issue. Argued by supporters who fall on the right side of the aisle, legalization of marijuana is somehow an issue of personal freedom, and curbing the power of an overreaching government from making choices for us. I find it ironic that some of the same people who talk about how the Democratic Party has “enslaved” low income and ethnic communities with the cycle of crime, drugs and lack of education, argue in support of more widespread use of a drug that for many is where addiction and the vicious cycle begins. Legalization will stop the issue of drug dealing and the crime that comes with it? There will always be other drugs to sell, more powerful drugs, and the legality of a drug doesn’t curb addiction. People who talk of freedom need to realize that with our freedoms comes responsibilities and consequences. It’s nothing like fighting for a “freedom” that in the end will enslave you. Anyone who is dependent or addicted to a substance that gives them a high, isn’t free at all. Forget an overreaching government telling you what to do, you have a drug dictating that to you. Fighting for your right to get stoned isn’t exactly a noble or heroic feat either. There are people in Iran right now risking their lives to speak out and fight for some of the basic freedoms we take for granted, while we have people claiming to be champions of some great cause because they can now get a legal high. And what easier group of people for an overreaching government to control and manipulate than those who are stoned? 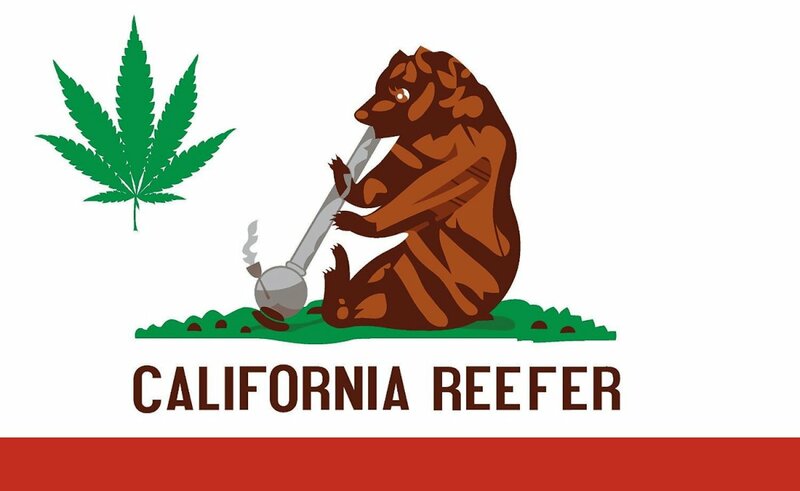 California indeed has a long road ahead and it won’t be long before we start to see the negative effects that this legalization will bring to this State. Effects which will far outweigh any freedoms gained, tax dollars the State government receives, and any high users enjoy. California starts a new year off on the wrong foot and continues to tarnish that once “Golden State” reputation.